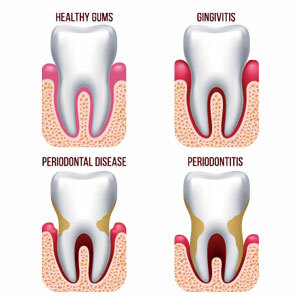 The early stages of gum disease are referred to as periodontal disease. Damaging the tissue that connects the tooth root to the gym, the infection can affect the tissue and bone that support teeth and result in the loss of your dentition. The Shine Dentists dental team seek to treat such issues so that you can catch it in the first stages or slow its progression.